For a long time South Africa has been in the background regarding international eSports. We are struggling to get noticed and gaining international experience. Long have we waited for this to change. It is about to change. Bravado Gaming is arguably the top CS:GO team in SA. They have for long dominated the scene with epic wins and a massive fan base. Yes I am a fan boy. With numerous local titles under their belt they set off to find a challenge. Enter Project Destiny. They will be sending their entire 6 man CS:GO squad consisting of Aran “Sonic” Groesbeek, Dimitry “Detrony” Hadjipaschali, Ruan “Elusive” van Wyk, Rhys “Fadey” Armstrong, Johnny “JT” Theodisiou and Tiaan “T.C” Coertzen to live and compete in the USA. I had the privilege to have a chat with top entry fragger, “Fadey”. EAX: What is your overall experience competing in the US? F: My overall experience so far is very enjoyable, it’s so different to the local stage and very well produced it’s amazing. To sum it up the stage is bigger, the prize pools are bigger and there is a lot more eyes on you than back home. EAX: What is the skill gap like, compared to SA? F: The skill gap is more based on teamwork than individual abilities. It has already helped us so much since we moved to NA to play more as a team. It’s something very new when you first play against these teams here is that they are always ready to support another teammate, whether it be with utility or with fast trading. I think the biggest factor influencing the skill gap is the fact that these players from NA/EU get exposed to a lot more tournaments on a weekly basis than we do in South Africa. They also have a much larger pool of players/communities so naturally the skill develops quicker. EAX: How are the guys coping being away for an extended period of time? F: So far everybody is coping pretty well and everything so far has been pretty good for us all. Obviously we all miss some people from back home, so we always look forward to coming back to SA. The biggest struggle was the initial change and adaptations that we had to make in terms of doing your own chores and always cleaning up after yourself. Basically just doing your part as an individual as you would do in game to contribute to the bigger picture. EAX: Do you think your leap to compete abroad will inspire other teams to follow suit? F: Other teams would most likely be inspired to follow suit if they see us accomplishing achievements and hitting our goals. 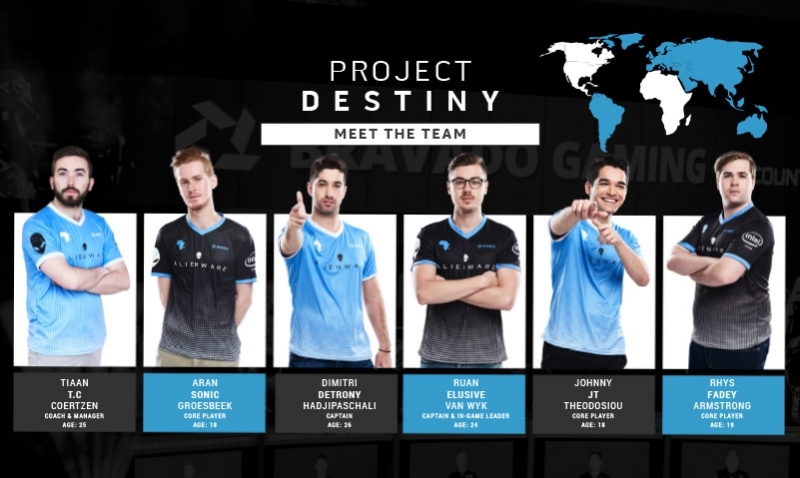 Considering the opportunity that was given to us (Bravado Gaming) to create Project Destiny by our sponsors: Intel and Alienware, we can only hope that we will inspire other big companies/corporates in South Africa to invest more into organisations/causes/projects such as ours to try and achieve the same and grow their organisation and players more. EAX: When will we see you back in SA? EAX: We mainly focus on the greater community. So we have a lot of aspiring pro players. I just need a few words of inspiration for the young guns looking to climb to where you are and beyond. 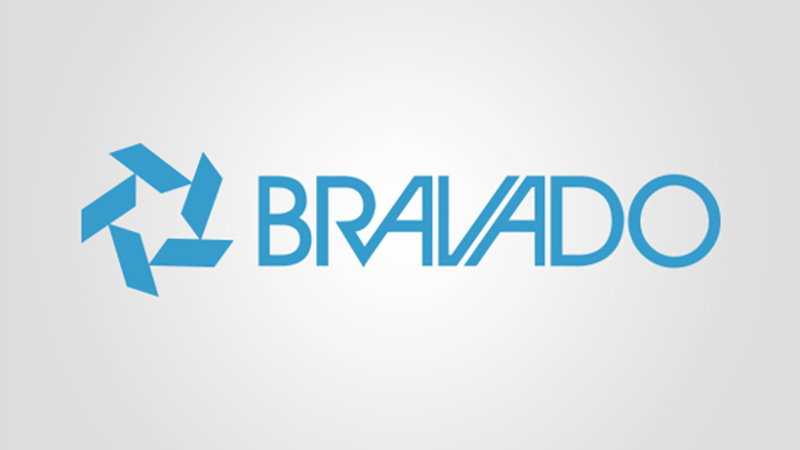 Bravado will be achieving new heights for SA eSports and obviously themselves. I think I can not only speak for the whole Early Axes community but also for the whole of South Africa if I say that we are 100% behind you guys, and you have already made us proud. Follow their progress on their Twitter and Facebook pages.